If you are not sure what RSS feed is all about, click on the little question mark (? )next to the word Subscribe in the top left hand box. This will tell you exactly what is RSS Feed and gives full instructions how to set yourself up. 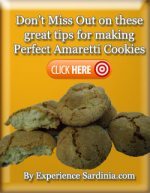 Amaretto Cookie Learn about the most classic Italian cookie a delicious almond paste with a bitter taste, get my baker’s tip for making your own and my recommendations of the best on the market. 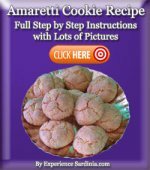 Continue reading "Amaretto Cookie Traditional Italian Bitter Sweet Almond Cookies"
Continue reading "Italian Amaretti Cookies A Traditional Sardinian Recipe"
Continue reading "Amaretti Cookie Recipe... The Best Cookie Recipe Ever!" My town to rent in Sardinia Ogliastra Jerzu,you will find my description some what very different the usual! hope you appreciate my honesty and if anything else enjoy the read. Continue reading "My House to Rent Sardinia Jerzu, An Authentic Experience of Living "
Continue reading "Site Map - Experience Sardinia.Com"
A cheap self catering holiday in Sardinia, a perfect place to stay without the frills to enjoy the Italian Island in my town house in Jerzu, take the tour and ask for a quote! Continue reading "Cheap Self Catering Holiday in Sardinia, Townhouse to rent in Jerzu"
Strawberry Tiramisu an authentic Italian dessert recipe with a tasty twist, you just have to try this variation its delicious and the colors make it perfect for Christmas! Continue reading "Strawberry Tiramisu Recipe - A Tasty Italian Dessert "
Continue reading "Grazie Mille! " 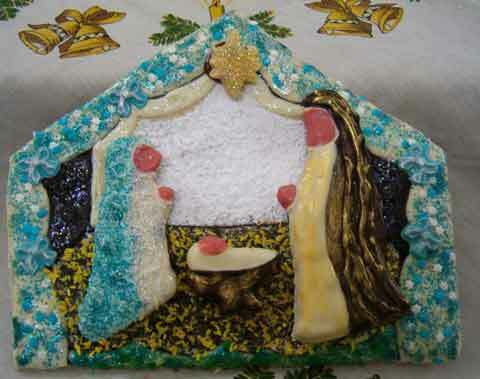 Continue reading "Grappa Pasta Cookies Fried, Looked like little Breast Cancer ribbons, Made by ex mother-in-Law to be, in Macomer NU in 1989"
Continue reading "Christmas Cut Out Cookies - Decorated Christmas Cookies"